Manatec’s in-house R&D is a Govt. of India recognized setup that is spearheaded by a dynamic team of Engineers & Designers. Manatec established its in-house R&D division in 1987 which is recognized by Govt. of India. Manatec through its R&D strength, has become one of the very few companies in the world to have 100 % indigenously designed 8 different garage equipments (wheel aligners, balancers, tyre changers, 2 post lifts, gas analyzers, smoke meters, head lamp aligners, automatic tyre inflators. The R&D dept houses all required facilities, both Electronics & Mechanical, to design & develop high quality Garage Equipments. Experienced technical engineers, hardware & software specialists work in the R&D dept that designs world-class products. 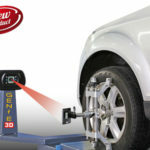 The software of Wheel Aligner and Wheel Balancer has been copy right protected. Manatec invests approx. 7% of its annual turnover in Research & Development every year. Currently Manatec is working in designing advanced wheel alignment systems using latest technology, Axle alignment projects, AC recycling systems etc to add to its product portfolio. All the products are designed and developed in our R&D Centre to conform to International quality requirements. Wheel Aligners, Wheel Balancers, and Gas & Smoke analyzers are already CE certified. Manatec wheel aligners are also certified by the Russian Homologation agency for exports to Russian customs union comprising Russia, Ukraine, Belarus & Kazakastan. Manatec has established OEM co-pperation with famous global brands, owing to strong R&D to supply Wheel Aligners & Wheel balancers under their brand name. They find enormous value in terms of latest technology product at economical cost when they buy from Manatec. 1992 : Manatec designed first ever Digital wheel aligners with attractive and user-friendly software design. 1993 : Manatec designed first ever video graphic wheel aligners with attractive and user-friendly software design. 1996 : Manatec designed wheel balancers in both digital and video graphic versions. 1998 : Videgraphic Wheel aligner (CCD Technology). 1999 : Tyre changers were designed in-house through the mechanical R&D division. 1999 : Exhaust gas anlaysers were designed to cater to the rising emission conditions in India. 2000 : Manatec develops diesel smoke meter. 2002 : Two post lift, model RHINO 3.0 was designed. 2005 : Automatic Tyre Inflactor. 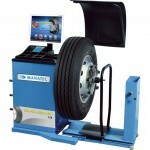 2006 : Manatec launched Radio Frequency (RF) Wheel Aligner. 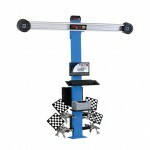 2011 : Manatec’s FOX 3D Wheel Aligner; India’s first indigenously designed Wheel Aligner was launched. 2013 : Manatec’s Multi-Alxe HCV Wheel Aligner (for Buses & Trucks) indigenously designed and launched. 2013 : Manatec’s HCV Wheel Balancer (for Buses & Trucks) indigenously designed. 2014 : Two Post Lift (Electro Hydraulic), Model RHINO 4.0 HC i is designed. 2017 : Manatec’s World’s 1st 3D Wheel Aligner (for Multi-Axles) which is indigenously designed and launched. 2017 : Manatec’s World’s 1st In-Lift 3D Wheel Aligner which is indigenously designed and launched. 2017 : Indigenously designed A/C Gas Charger, icool was launched.